October 2016 | Florida Law Advisers, P.A. Credit cards in bankruptcy are usually discharged, meaning the borrower is relieved of all personal liability on the account. The discharge is a permanent court order releasing the debtor (borrower) from personal responsibility for the debt. Further, the discharge prohibits a credit card company from taking any collection action against the borrower. Credit cards in bankruptcy are almost always unsecured debts. Unsecured debts are loans in which the debtor does not provide any collateral for the loan. In Chapter 7 bankruptcy, unsecured debts are generally eligible for discharge. However, there are circumstances which can prevent a discharge of credit cards in bankruptcy. Therefore, you should consult with a Tampa bankruptcy lawyer before filing bankruptcy. If a lender successfully proves credit card fraud against a debtor, the credit card debt may not be discharged. This process would start with the creditor challenging the discharge because that creditor believed the debt was incurred through fraud. See Bankruptcy Code section 523(a)(2)(A). Fraud is a defense against dischargability for credit cards in bankruptcy. For credit card fraud, the creditor will need to prove one of two things: (1) that the card was obtained through fraud, such as falsified information on an application; or (2) the use of the card itself was done in a fraudulent manner. 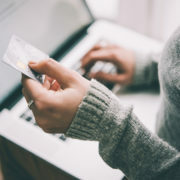 If you think a lender may have a claim of fraud for credit cards in bankruptcy, contact a bankruptcy lawyer in Tampa for legal advice right away. If a lender accuses you of fraud for credit cards in bankruptcy they will need to file a notice of adversary proceedings. This step is mandatory if a credit card company wants to challenge the dischargability of credit cards in bankruptcy based on fraud. There are very specific time-frames involved for a credit card company to file this notice. If the claim is not timely filed, the creditor may be barred from challenging the discharge of credit cards in bankruptcy. For more information on the time requirements contact a Tampa bankruptcy lawyer for assistance. The court looks at a number of factors when deciding whether or not there is fraud for the credit cards in bankruptcy. The bankruptcy judge will look at the following factors, but it is important to remember that not one single factor is outcome dispositive. The judge will look at all of the facts relevant to these factors before making a decision. The court will evaluate: (1.) the length of time between the charges and the bankruptcy filing; (2.) whether or not an attorney had been consulted concerning the filing of bankruptcy before the charges were made; (3. )the number of charges made; (4.) the amount of the charges; (5.) the financial condition of the debtor at the time the charges were made; (6.) whether the charges were above the credit limit of the account; (7.) whether the debtor made multiple charges on the same day; (8.) whether or not the debtor was employed; (9.) the debtor’s prospects, (10.) whether there was a sudden change in the debtor’s buying habits; and (11.) whether the purchases made were luxuries or necessities. See In re Dougherty. At Florida Law Advisers, we understand credit cards in bankruptcy can be a very confusing and intimidating process. That is why we work so hard to make the process as easy as possible for our clients. When you hire Florida Law Advisers, P.A., you get an experienced bankruptcy lawyer in Tampa by your side throughout every phase of the bankruptcy process. We will help ensure your rights are protected, keep you well-informed every step of the way, and help you receive the utmost protection bankruptcy can offer. Regardless, if you need help with Chapter 13, Chapter 7, or other debt relief our professional legal team will provide you with competent legal advice you can trust. To schedule a free consultation with a bankruptcy attorney in Tampa, call, email, or fill out an online inquiry on our website today. When a couple is going through a divorce or child custody dispute there may be insults and threats made by the parties involved. Often, people will try recording conversations for evidence in a Florida child custody case. However, Florida law may restrict recording conversations for evidence in a Florida child custody case or divorce. 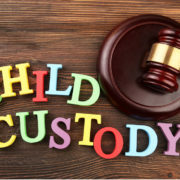 For more information about the types of evidence that may be used in a child custody or divorce case contact a divorce attorney in Tampa for legal advice. An experienced child custody & divorce lawyer in Tampa can help answer your questions and advice on which types of evidence may be used in court. Under Florida Statute 934.06, any information gained from illegal monitoring/recording of electronic communications or oral communications will not be admitted as evidence during a trial. Therefore, recording conversations for evidence in Florida child custody case or divorce may not be a good legal strategy. Further, each party in a proceeding has an expectation of privacy from interception by another party. See Shevin v. Sunbeam Television Corp. Interception in this context means gaining information by using electric, mechanical, or other devices. See Florida Statute 934.02. Because technology is constantly changing and Federal laws regarding illegal recording of information differ from those in Florida, it is important to consult with an experienced divorce attorney in Tampa to determine what constitutes illegal monitoring. In Florida, electronic communication is defined as any transfer of information shared partly or wholly by a wire, radio, or any other electronic device. Information includes signs, signals, writing, images, sounds, or data. See Florida Statute 934.03. Electronic storage of documents may also be protected communication. An example of illegally recording electronic communication would be installing software that allows a party to intercept the opposing party’s emails and instant messages. Information gained through this type of technology will not be admissible in trial. See O’Brien v. O’Brien. Illegal recording of oral communication may also include conversations that occur in person. A common example in divorce cases is recording a conversation between both spouses without the other party’s consent. These types of recordings are typically not admissible in Florida divorce and child custody cases. If you are contemplating filing for divorce or child custody contact to speak with a Tampa divorce lawyer. Our divorce lawyers have years of experience helping people with their divorce and child custody disputes. Every divorce is different, and our vast experience allows us to cater our services to each client’s individual situation. Whether a couple mutually agrees to the terms of a divorce or are engaged in a fierce battle for their property and child custody rights, Florida Law Advisers, P.A. can help. We are available 24 hours a day, 7 days a week and offer a free initial consultation. Call us today at 800 990 7763 to speak with a divorce attorney in Tampa. When a mortgage loan is taken out, typically two documents are signed, a promissory note and a security agreement (mortgage). The promissory note ensures the repayment of the loan. On the other hand, the security agreement allows for the home to be collateral for the loan. Often, a foreclosure auction in Florida will not provide enough money to pay the loan in full. In cases such as these, the bank may then try to sue the homeowner for the remaining balance (deficiency) based on the promissory note. Fortunately, there are ways to stop a mortgage deficiency in Florida. 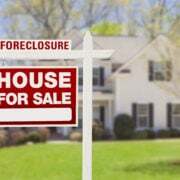 If you are at risk of foreclosure or if the home has already been foreclosed, contact a foreclosure defense lawyer in Tampa for assistance with how to stop a mortgage deficiency in Florida. What is a Mortgage Deficiency in Florida? A mortgage deficiency arises when the foreclosure auction does not yield a price high enough to cover the loan balance. For example, if a bank foreclosed on a home due to a $150,000 debt, but the home only sells for $95,000, the bank is still owed $55,000. Because the highest bid did not cover the full mortgage balance due, the remaining $55,000 is called the deficiency. The lender can then potentially sue the borrower for the deficiency. See Florida Statute 702.06. This is one of the many reasons why if you are facing foreclosure you should seek the advice of a foreclosure defense lawyer in Tampa. There are potentially a few options for homeowners who need to stop a mortgage deficiency in Florida. For instance, a homeowner can engage in a short sale, deed in lieu of foreclosure, loan modification, negotiate settlement with the bank, or file for bankruptcy. Each of these options come with their own unique set of requirements and potential disadvantages. For more information on each of these options contact a Tampa foreclosure defense lawyer for legal advice. For some homeowners, bankruptcy is the best solution to stop a mortgage deficiency in Florida. Under Bankruptcy law, a discharge will void a judgment, “to the extent that it is a determination of the personal liability of the debtor. If a debt is discharged in bankruptcy the borrower (debtor) will be released from all liability on the debt. The discharge is a permanent court order releasing the borrower from the responsibility of having to pay the debt. Further, the discharge prohibits a creditor from taking any collection action against the borrower. Therefore, the discharge will prevent and stop a mortgage deficiency in Florida. Bankruptcy is not the only way to stop a mortgage deficiency in Florida. At Florida Law Advisers, our foreclosure defense attorneys fight the foreclosure and legally challenge the lender’s right to foreclose. Our experienced legal team will scrutinize every aspect of your mortgage for any evidence we can use against the lender. We will dedicate all of our legal knowledge and skills in the courtroom to help prevent the foreclosure and keep you in your home. The right course of action to stop a mortgage deficiency in Florida will depend on the circumstances of each case. To see which options may be available to you, contact us to today to schedule a free, confidential consultation with a Tampa foreclosure defense attorney at our firm. During the consultation, an experienced foreclosure defense and Tampa bankruptcy attorney will carefully review the facts of your case and help you choose a course of action that is best for your individual needs. Call us at 800 990 7763, we are available 24 hours a day, 7 days a week. Do I Have to Pay Alimony in Florida? There are many seen and unforeseen expenses related to the divorce process. Alimony is one of these expenses which can be part of a divorce case in Florida. Alimony is an amount of money paid for a set period of time following the conclusion of a divorce. Determining the answer to, do I have to pay alimony in Florida can be complicated. There is no mathematical formula to determine the amount of alimony a spouse will be required to pay. The amount varies from situation to situation and changes based on the type of alimony that will be received. Therefore, if you need assistance with answering, do I have to pay alimony in Florida contact a divorce lawyer in Tampa for assistance. It is difficult to answer, do I have to pay alimony in Florida because there is no specific mathematical formula under Florida divorce law. Instead, the judge will consider many factors to help answer, do I have to pay alimony in Florida. These include the standard of living experienced during the marriage, the length of the marriage, the age of each spouse and health, the economic position of each spouse, if further education will be required for the spouse to support themselves, and what contributions each spouse made during the marriage. See Florida Statute 61.08. In addition, it is important to consider the tax effects of alimony. Usually, alimony is a tax-deductible event for the paying spouse and taxable by the recipient. To determine what factors are likely to impact alimony and the best tax results, it is important to consult at tax professional and divorce lawyer in Tampa. How Long Do I Have to Pay Alimony in Florida? Under Florida divorce law, there are five types of alimony a judge can consider during divorce proceedings; temporary, bridge the gap, rehabilitative, durational, and permanent. The type of alimony awarded will determine how long the payments will last. A judge may award any combination of these types of alimony and payments may be made periodically or in one lump sum. Temporary alimony, is alimony awarded during the divorce proceeding that ends when the final judgment is entered. See Florida divorce case Littlejohn v. Littlejohn. Bridge the gap alimony looks what each spouse would need to transition to single life. Bridge the gap alimony is transitional, it takes into consideration bills and foreseeable expenses of starting life without a spouse. Rehabilitative alimony has goals similar to bridge the gap. Rehabilitative alimony considers the time a spouse may need to further their education or proper obtain employment. Durational alimony is awarded in short term or moderate term marriages, for a pre-determined amount of time, and cannot exceed the length of the marriage. So if married for two years, a spouse cannot receive durational alimony for more than two years. Permanent alimony is usually only granted in moderate or long term marriages. It is intended to maintain the receiving spouse at the same standard that was held during the marriage. 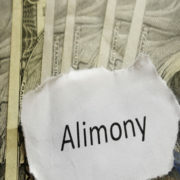 For more information on permanent alimony click here. A skilled divorce attorney in Tampa can make a big impact in determining do I have to pay alimony in Florida. If you are contemplating filing for divorce or your spouse has already filed for divorce, call us today to speak with a Tampa divorce attorney at our firm. The divorce attorneys at Florida Law Advisers, P.A. have years of experience in both advocating for and against alimony. With years of experience in family law litigation, we are more than ready to present a compelling case on your behalf and stand firm for what is fair. To speak with a divorce attorney at our firm call us today at 800 990 7763.
https://www.floridalegaladvice.com/wp-content/uploads/2016/10/all-9.jpg 687 1034 Florida Law Advisers https://www.floridalegaladvice.com/wp-content/uploads/2017/05/logo2.png Florida Law Advisers2016-10-19 11:47:472019-04-21 16:27:38Do I Have to Pay Alimony in Florida? Chapter 7 is also known as the liquidation proceedings and is governed by the Chapter 7 bankruptcy trustee. It’s an immediate proceeding that allows for a fresh start. It is sometimes called “the good one,” because it’s the type most individuals think of when they consider bankruptcy. However, Chapter 7 is not the best option when a person has lots of assets they need to protect. With that in mind, one should consult with a bankruptcy attorney before deciding whether Chapter 7 is right in any individual circumstance. 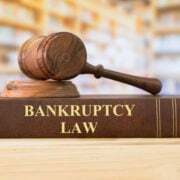 If one does move forward with a Chapter 7 Bankruptcy action, there will be a lot of discussion about the Chapter 7 bankruptcy trustee. The Chapter 7 bankruptcy trustee, “debtor in possession,” is also the one to ensure that all of the assets, debts and expenses are correctly accounted for. The debtor becomes the legal owner of all of the debts and assets while the case is in bankruptcy. The trustee will also be on the lookout for fraudulent transfers. See bankruptcy case Granfinanciera, S. A., et al. v. Nordberg. As soon as a bankruptcy case is filed, a stay prohibits any further collection activity. The stay allows for a period of inactivity so that the Chapter 7 bankruptcy trustee, sometimes called the “debtor in possession,” can collect and assemble all of the assets (the things of value the debtor owns,) sell them, and then distribute the monetary gain among the creditors in order of priority. The chapter 7 bankruptcy trustee will also be reviewing the case for evidence of fraudulent transfers. An example of a fraudulent transfer is when money or an asset is disguised as a gift to a family member or friend when in reality the transfer is meant as a loan to be repaid after the bankruptcy proceeding is over. For more information on fraudulent transfers click here. Another possible form of a fraudulent transfer for a bankruptcy trustee to consider is disvaluing an asset. For example, if a wine collection valued at one-hundred dollars in reality contains multiple bottles of wine worth over one-thousand dollars, a Chapter 7 bankruptcy trustee would try to uncover that type of fact. It is important to realize that bankruptcy fraud and bankruptcy-related crimes are investigated by the Federal Bureau of Investigation. In Chapter 7 Bankruptcy, the first step is to gather the assets and then subtract the debts so that the portion of repayment can be calculated. The role of the Chapter 7 bankruptcy trustee, therefore, is imperative to ensure all creditors are paid what they are due under the law. See bankruptcy case Robert Louis Marrama, Petitioner, v. Citizens Bank of Massachusetts. Honest reporting of all assets, liabilities, income and expenses to both your bankruptcy attorney and the Court is vital. Lying on any Official Bankruptcy Form or Affidavit is perjury and punishable by law. If you are unsure how to correctly report your assets, liabilities, or income contact a bankruptcy attorney in Tampa. https://www.floridalegaladvice.com/wp-content/uploads/2017/05/all-24.jpg 693 1034 Florida Law Advisers https://www.floridalegaladvice.com/wp-content/uploads/2017/05/logo2.png Florida Law Advisers2016-10-17 11:52:072019-04-21 16:33:10What Does a Chapter 7 Bankruptcy Trustee Do?